Have you been searching for the perfect flooring for your home? When homeowners want to remodel their home, they usually do research on what the best flooring options for each room would be. 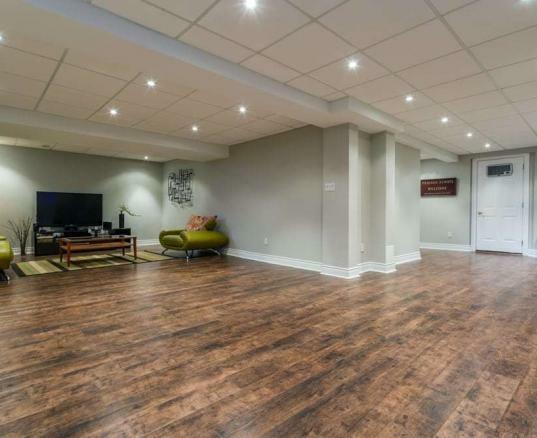 You want to choose a flooring for each room that will work best for how much traffic goes through the room as well as what will fit within your budget. All of this information can be a lot, which is why we created a handy guide to give you the best home flooring ideas and which room it pairs best with. Nothing beats the look and feel of prefinished hardwood flooring. It looks really great and definitely adds value to your home when you are trying to sell. But one of the biggest downsides to prefinished hardwood is that it is requires more work and you have to pay to get it installed. If you have a large budget and your heart is set on hardwood flooring, then just make sure you don’t put it in a room that is more likely to have spills. Best Room: Prefinished hardwood flooring works best in the living room. You’ll add a lot of style to the space. It helps if your living room is a place that has less traffic than other parts of the house. This kind of flooring is almost identical to prefinished hardwood flooring. However, it is constructed to be more stable than hardwood floors. The top layer consists of a very high quality kind of wood. Engineered wood is less expensive than solid hardwood flooring. Best Room: Engineered wood flooring works best in the living room. You can give your home a stylish look for less. Long strips of wood make up the basis for luxury vinyl plank flooring. The planks are put together without using an adhesive which makes it one of the best home flooring ideas for rooms that need to be water resistant. Plank flooring is also very stylish and can be added to any room to create a trendy look. Best Room: Luxury Vinyl Plank flooring can be used in bathrooms or kitchens because it is a very water resistant flooring. Laminate flooring is a great way to get the hardwood look without having to spend a lot of money or time. Laminate doesn’t easily scratch like hardwood flooring. It is easy to clean and it’ll be really hard for people to tell that it isn’t actually solid hardwood. It is best for this flooring to stay dry, so you shouldn’t put it in a bathroom or kitchen. 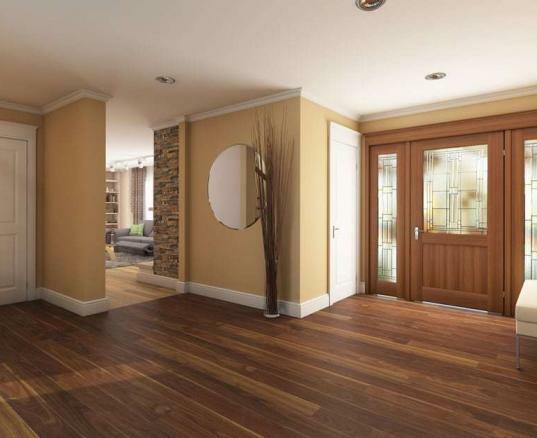 Best Room: Laminate flooring works best in a living room or foyer. You can choose a room that has high traffic as long as the flooring isn’t likely to get wet. At ReallyCheapFloors.com, we offer all of these home flooring ideas for affordable prices. Browse our home flooring options to find the best fit for your home improvement project.